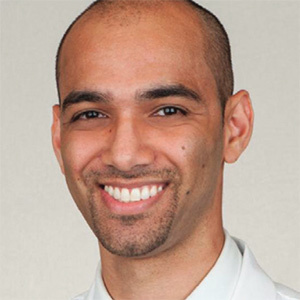 Dr. Raj Nathoo was born and raised in Orlando and has returned to his hometown after completing his dermatology training at the University of Florida, where he served as chief resident. He graduated from Oviedo High as the Valedictorian and went on to complete a 7 year accelerated medical program. He received his Bachelor of Science degree in Molecular and Microbiology from The University of Central Florida and received his Doctor of Medicine degree from the University of South Florida. He has published several articles in peer reviewed medical journals to advance knowledge in the field. Dr. Nathoo treats both pediatric and adult patients, and specializes in general and procedural dermatology. His clinical interests include, but are not limited to, skin cancer, acne, eczema, psoriasis, and blistering diseases. In his free time, Dr. Nathoo enjoys traveling. He is a life long Orlando Magic fan and also enjoys movies. Dr. Nathoo practices at Advanced Dermatology in Oviedo and Waterford Lakes, FL.